The interesting part with this grip is that it is compatible with the A7iii, A7riii, and A9 which is a smart move by Sony. They’ve limited the amount of design investment required to produce the grip. The Sony grip sells for around AUD$549 or US$350 although it can be picked up cheaper if you look around or wait for discounted offers. This is on a par with most of the camera grips on the market. The packaging is fairly basic compared to the likes of Fujifilm and Nikon. With the grip, you’ll receive the grip, the tray, and that is all. 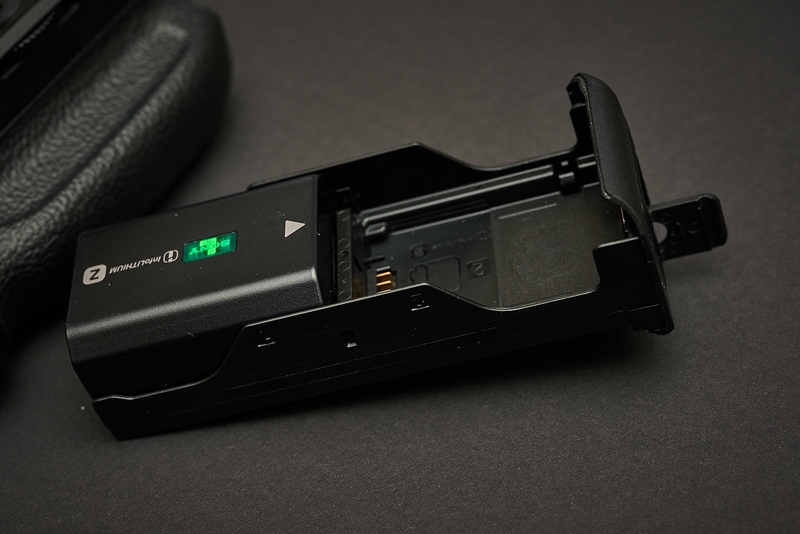 Nikon provides additional battery trays for AA batteries along with neoprene covers and Fujifilm provides an external charger. I’ll cover this in more detail later. Pricing is a little on the high side given what is provided compared to the competition. I think it should be about 20% lower given what’s included and I would not have purchased either without a discount. The first I paid around 50% of the RRP and the second 70%, both new. For the most part, construction is good. The grip itself feels solid, well constructed. The buttons feel good and are responsive. Overall it looks and feels like a genuine part of the body which is great when it comes to grips. Where Sony dropped the ball is the battery tray which feels really cheap, as bad as a cheap aftermarket replica. It’s almost like everyone at Sony outsourced the design to a third party and nobody bothered to do a quality check on it. It’s not very sturdy at all and disappointing when you consider this grip is supposed to go on the A9, a far more expensive camera designed for the pro market. Given the pricing of the grip, I’d say this is a big let down. When you are paying 4 times the price of an aftermarket model that does the same, you need to make sure everything included justifies that premium, and frankly, the battery tray doesn’t. 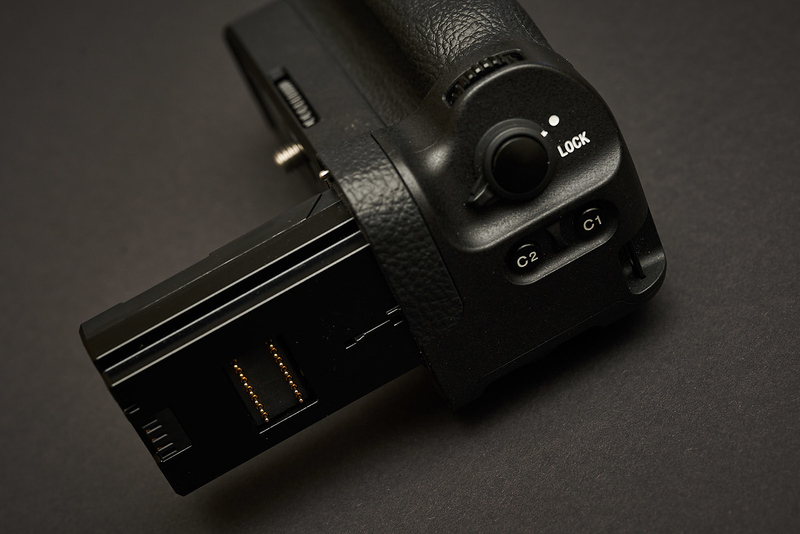 The battery grip offers the general functions you’d expect to find on a battery grip. Aside from that, it pretty much fills the brief for a battery grip, with the exception that you need a second battery. I’m not sure why manufacturers don’t include a battery in their grips, but that seems to be the same with all of them. What I do like about the grips is the idea that Sony makes them compatible across multiple cameras. That means someone could get one grip and switch it between the A7 and A9. In my case, prior to getting the second grip, I was using it across my A7iii and A7riii. It’s a smart move. It brings the economy of scale across their entire lineup which also reduces the development cost, however, it doesn’t look like they have passed down the cost to the consumer. On the way it attaches, I’m in two minds but starting to swing towards Sony’s direction. 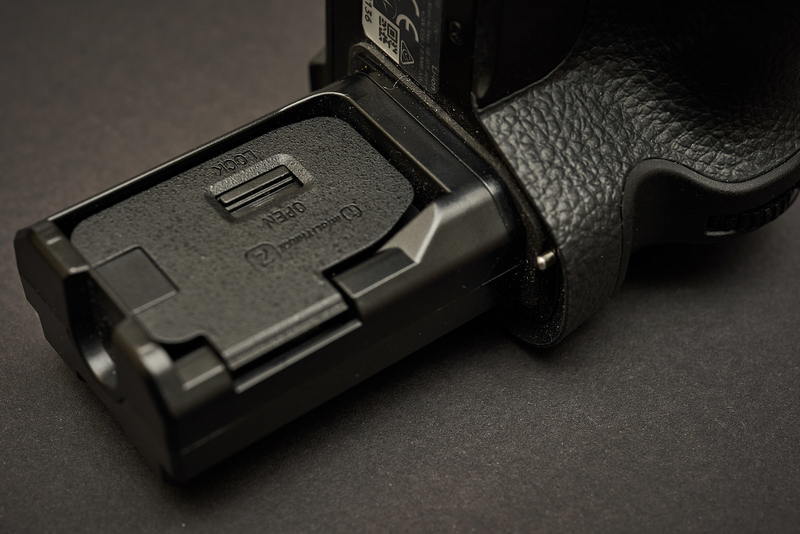 Nikon and Fujifilm use the grip with the battery bay closed. Sony and Canon both use a system where the grip goes into the camera. I come from the Fujifilm and Nikon side. 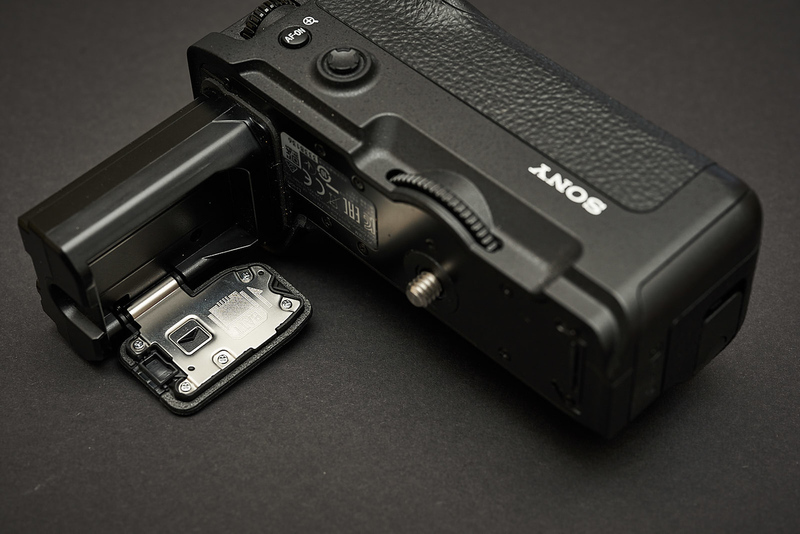 If you are someone who regularly attaches and removes your grip, the Sony style method is more annoying as it requires you to remove the battery and the battery door, then insert the grip inside that. It has pros and cons, it feels more attached to the camera with less movement, but the compromise is that it is harder to take on and off. The comfort is good, but I don’t think it’s as comfortable as my previous Nikon D750 grip or my Fujifilm X-T2 or X-H1 grips. It seems to be more square and block like, particularly in vertical where it doesn’t align to the same shape as the horizontal grip. As a result doesn’t seem to mold naturally to the curves of your hand. It’s not uncomfortable per se, it’s just not as comfortable as other grips I have tried. For some people, this may come down to the individual, but Sony has a thicker grip than many cameras, so as someone with big hands, I would expect to be the one most likely to find this comfortable and I suspect many females with smaller hands may not find it comfortable at all. The overall shape of the grip seems like someone took a square box and tries to round the edges. For the price premium Sony are charging and given the benefit of using the grip across their entire lineup, I think they could have done a better job with the battery tray construction, and other than loyalty to Sony, I am not sure whether the price premium over third party grips like the Meike is justified. I’d say the Sony grip should be about 30% cheaper for me to give it a higher rating. It’s not that the grip isn’t good, it’s just not good value for money when you look at the whole package compared to the competition. 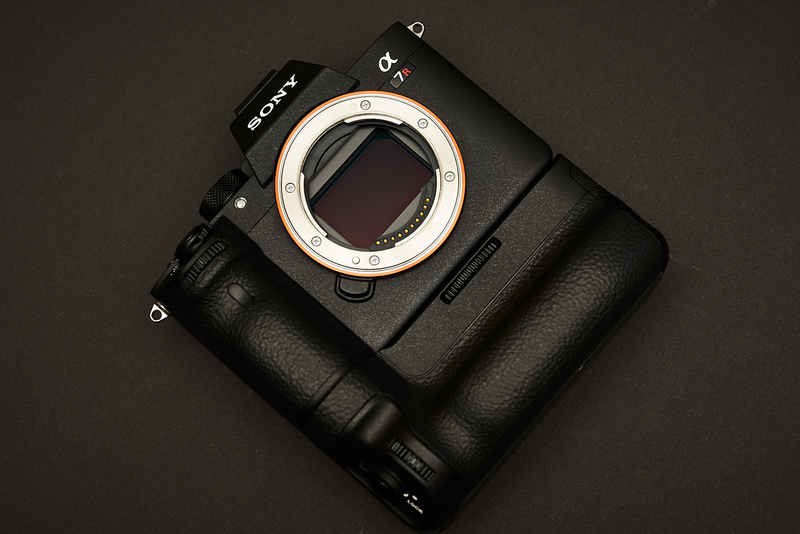 I think if Sony included an extra battery, it would counter some of the issues with the grip, but I am not sure if they will be doing that any time in the future with the popularity of the A7iii and the subsequent demand as a result. Overall, this gets about a 3.5/5 for me. So what could Sony improve? 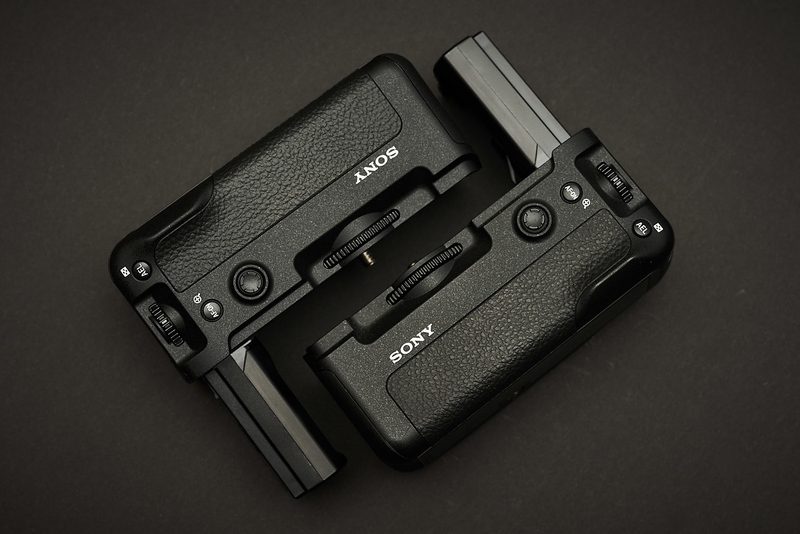 A built-in Arca plate – Think different Sony! Previous Dear Sony Users: Not everyone needs a $2000 Zeiss prime or G Master lens. I’m surprised none of the manufacturers have done it to date. Would cost them 5 bucks to add. Same with the lens feet. Nikon, Fujifilm, Sony, none of them have arca plates on the lens feet.